I am currently sending a flock of unicorns your way in order to help you out. I mean, the hooves kind of get in the way of doing anything requiring much dexterity, but they make great cheerleaders. You have been missed, and we will be here whenever you have time for us. 🙂 Hugs to you, Martin! I am so happy that you’ve gotten this all out there now. For me, just getting everything out in a blog post helps immensely, and I hope you’ve found it helpful too. Martin! In the short time that I have officially been a member of the DOC, I do miss your writing! However, as a real-live diabetic librarian, I can say that sometimes it’s important to retreat for a bit; staying quiet and aware of the change that is occuring. I, for one, want to support you in whatever you need to do: sometimes the quiet time and space for reflection can really jump start big change. So, give yourself a pat on the back and that you are taking time. And let us know if you need anything! That’s what the DOC is all about. 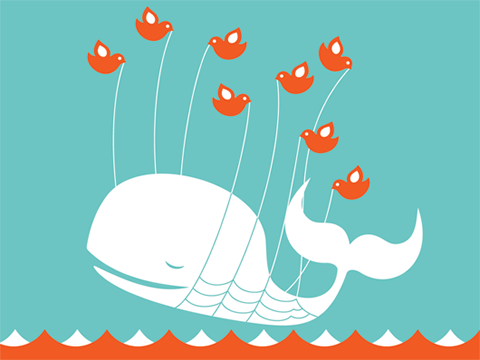 i’ve always marveled at how peaceful the expression is on the fail whale’s face. ahhhhh. Sending love my friend. You have been missed indeed! I stand by my quote – we DO miss you Martin!! And now that I know where you live, you better watch out. Surprise visit! !